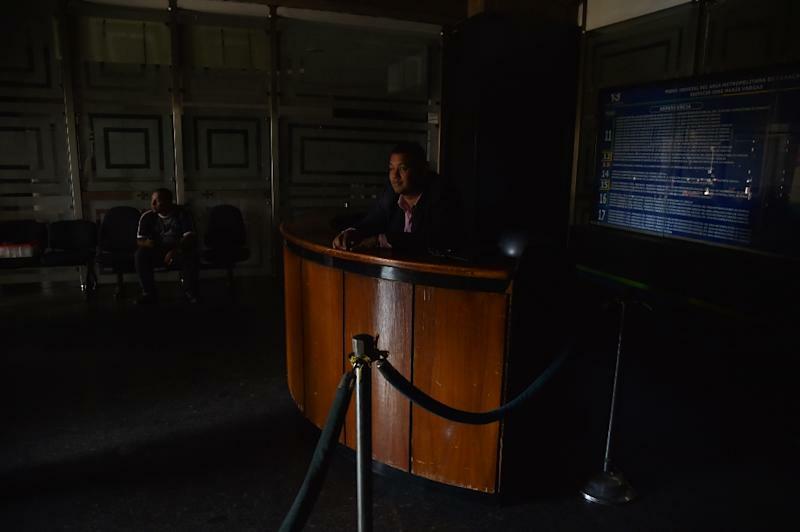 Caracas (AFP) - A new blackout swept across Venezuela on Monday, including much of Caracas, sowing alarm two weeks after a nationwide outage that paralyzed the country. The power cut in the capital occurred around 1:20 pm (1720 GMT) and knocked out electricity in the city center. After nightfall, many apartment buildings in the Caracas metro area -- home to around six million people -- were aglow again and traffic lights were back on, but people reported they were still in the dark in many other states. Communications Minister Jorge Rodriguez blamed the latest blackout on "an attack on the charging and transmission center" at the Guri dam, which supplies 80 percent of the power to the country of 30 million. "What (last time) took days, now has been taken care of in just a few hours," Rodriguez said, saying the fix had been made in "record time." Earlier, a local newspaper reported that the power was out at Venezuela's main international airport outside Caracas. Cellphone signals were disrupted and television was blanked out. Shops hastily lowered shutters, fearing looters. President Nicolas Maduro's government blamed the outage on an "attack" targeting the Guri hydroelectric plant. Rodriguez told state television that the opposition was responsible, claiming it "wants to plunge the population into profound unease." Juan Guaido, the opposition leader recognized as Venezuela's interim president by the US and many of its allies, countered on Twitter that Maduro's government "uses these moments to disinform and create anxiety." He said "at least 17" of the country's 23 states were affected, as well as much of the capital district covering Caracas, retweeting a graphic by web monitoring organization NetBlocks showing the internet down for 57 percent of Venezuela. Anxious Twitter users who were online said several big cities in the west of the country including Barquisimeto, Maracaibo and Barinas were impacted. "Not another blackout, no God, no," tweeted Flore Melero, a 29-year-old resident in the town of Ocumare del Tuy southeast of Caracas. "Sitting in the office, without power but with a generator, wondering 'How long will this new blackout last?' 'Do I have enough water at home?' 'What about the meat and chicken in the freezer?'" tweeted a Caracas resident, Andres Betancourt. Their comments summed up the panic and concerns that have lingered since the last blackout, which started March 7 and lasted a week. During that blackout, more than a dozen patients in hospitals died, public transport came to a halt, production slowed in the vital oil sector and water supplies were interrupted, forcing citizens to turn to sewage outflows and polluted water sources. Maduro also blamed the previous outage on a cyberattack on the Guri plant, accusing the United States. He went on to order the creation of a new military unit to protect basic installations. Observers at the time said that while a US attack was possible, it was unlikely. They said years of underinvestment, poor management and corruption was the likely culprit, and they predicted more power cuts would follow. According to a study by the opposition-ruled legislature and the medical group Medicos por la Salud, around half of Venezuela's hospitals have generators. In the last blackout, however, many did not work or were insufficient for the needs of intensive-care patients, neonatal wards and dialysis patients. 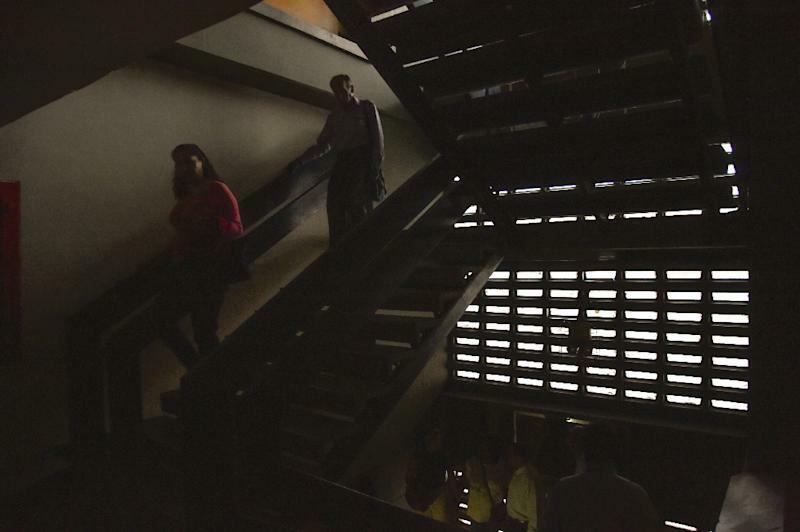 Monday's blackout also hit the National Assembly building, forcing occupants to exit in the dark using stairs. 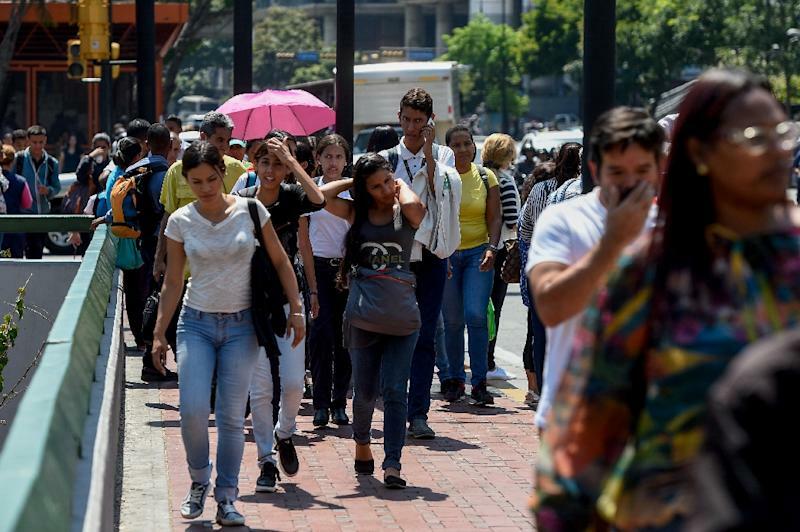 In the streets of Caracas, anxiety was evident as residents worked out how to return home without a working subway network and few, overcrammed buses. "I'm wondering how to get home because there's no metro. I live in the center and it takes me two hours. I move slowly," said Ana Gonzalez, a frail 64-year-old who was closing up the cleaning products shop where she worked. For others, frustration and anger bubbled over, adding to a sense of powerlessness created by years of economic crisis that has made food and medicine scarce and prompted an exodus of more than 2.7 million Venezuelans since 2015. Rafael, working in a printing shop where all the machines had come to a stop, accused the government of "not doing repairs" to the power grid.